An intimate family run festival of performing arts, which takes place every summer, and brings together rock, indie, ska, world, folk, hip hop, drum n bass, dubstep, breaks and house, psytrance, cabaret, comedy, theatrics indoor and out, film and kids entertainment to an intimate farm deep in the rolling hills of Herefordshire. The 21st Nozstock Festival takes place at a farm near Bromyard, Herefordshire from Thursday 18th until Sunday 21st July 2019. Acts include Rudimental (DJ set); Soul II Soul; Skatalites; David Rodigan; Hollie Cook; Elvana: Elvis Fronted Nirvana; Henge; King Kong Company; Oh My God! It's The Church; Zinc; DJ Randall; Kings of the Rollers; and more, with more to be announced. For the details as available please see the line-up page. Adult tickets: £135 for Friday-Sunday, or £145 for Thursday-Sunday. Children aged 12 years and under are free, but need a ticket. Festival goers are encouraged to dress up. The Theme for 2019 is The Wizard of Oz. Along with the music there's comedy, theatrics, film & craft. Nozstock is a playground for everyone, from seasoned festival goers to newbies setting out for their very first time. Inspirational and intimate, this eclectic haven offers a broad spectrum of live music, DJs, arts, comedy, workshops, cinema and performance in a sublime setting, flowing from family-friendly adventure by day to a big party by night, set across various locations at this delightful, topsy-turvy farm.  Shuttle services will be on offer from local town Bromyard and to and from Hereford and Worcester before and after the festival. There will be more information here when available.